2014 is one of those years that I have so much to remember and so much to forget. After coming off a career high 2013 I knew it would be a tough year to follow. What I didn't realize was how low my lows were going to be and how high my highs were going to be. It was a year of complete contrast. Many of my lows focused around my job and the BC teachers' strike. It was the first year in a very long time that I felt like no matter what I did with my students it was not enough. Most days all I did was crisis manage and despite many calls for help little support was available for me or my students. Yet I still welcomed countless visitors through my room, apologizing to each of them for the chaos that often occurred during their visits. Despite having 20+ years of teaching experience, the willingness to do what ever I could for my students, it was never enough. The 2013/14 school year affected me physically and emotionally. There were days that I barely had the strength to get out of bed. I missed workout after workout, filled my body with food in an attempt to comfort myself, and I barely slept. Most weekends I spent in my PJs away from any interaction with people. There is so much that people don't know about my 2013/14 school year. Then add a teachers' strike on top of that. I have never felt as devalued as I did during all of that mess. Despite being on strike for over a month nothing has changed in our schools. While my 2014/15 class is so different from my 2013/14 class, there is a large piece of me that is still healing from everything I went through. While I spent most of my time taking care of others, I failed miserably when it came to taking care of myself. This will change in 2015. In sadness there is always good, if you look hard enough. 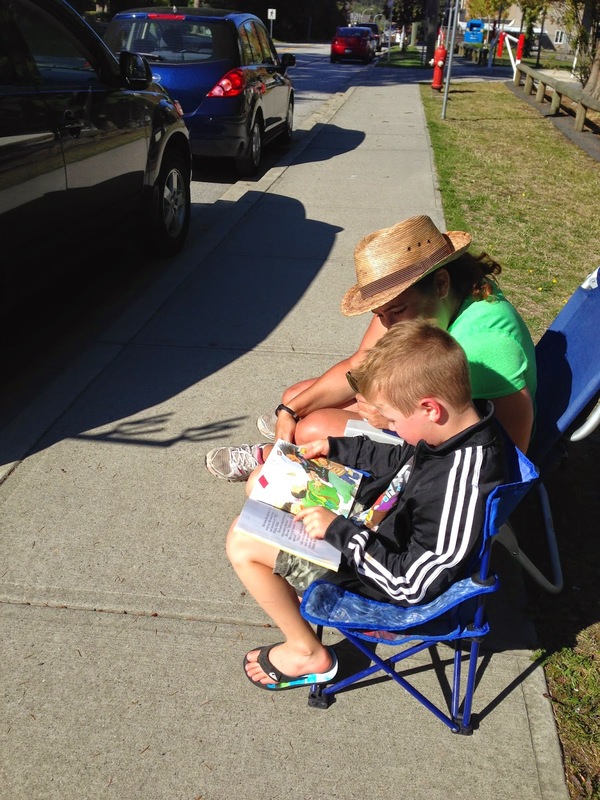 A student came to show off his reading while I was walking the picket line. But 2014 was not all sadness and challenges. There was a lot of good in 2014 too! Where do I begin? Despite the fact that I stress way too much over submitting presentation proposals, preparing presentations, and presenting I really love to share. In 2013 I was fortunate to present outside my district in Calgary, and Niagara Falls but in 2014 my reach was even larger. I was fortunate to present in a local school district, the Apple Leadership Institute in Vancouver, the Ed Tech Teacher iPad Summit in San Diego, my district EdCamp and STA Convention, the Vancouver GAFE Summit, ISTE in Atlanta, the Apple Global Institute, SFU, CUEBC, the Discovery Education Ignite Vancouver, and the ERAC conference. Each time I presented I took a step closer to accomplishing my mission of changing the world one six year old at a time (or via their teachers). But more than anything, every time I presented I learned more about me. My goal is to get better at sharing what I'm doing to help inspire others to try new things too. It's a constant journey of course but the more I present the more I enjoy it. It's been exciting and I look forward to sharing more in 2015. 2014 allowed me to continue my mission to meet my online PLN face to face. At every opportunity I was given I went out of my way to have face to face meetings with people. Here are just a few of the incredible far away friends I was able to spend face to face time with. In 2014 I had many opportunities to learn. Within my district I was able to attend the Engaging the Digital Learning Series featuring keynote presentations from Will Richardson, Suzie Boss, Silvia Martinez, and Sheryl Nussbaum-Beach. In addition I took part in a differentiation series, a formative assessment series, a formative assessment focus group, and the Making Learning Visible pilot. 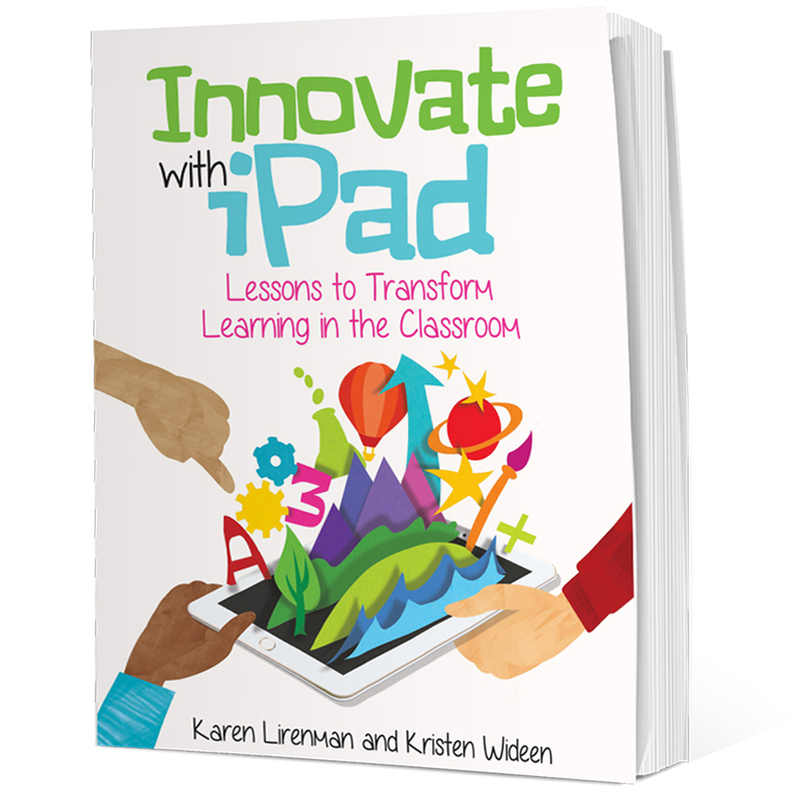 I remained an active member of the Making Thinking Visible pilot too as I continued to explore being in a 1:1 iPad classroom. Top all that off with my school and district PD days and I had many opportunities to learn within my school district. Within my local community I was fortunate to attend (in my personal time) EdCamp Delta, EdCamp Langley, SFU Education Symposium, GAFE Summit, Tedx Education West Vancouver, and Tedx Renfrew Collingwood. Outside of my local community I attended the iPad Summit and ISTE. ISTE was my highlight conference for certain as it's such an incredible gather of ed tech friends form around the world. I also read tons and tons of blog posts, participated in twitter chats, was a part of Voxer groups, and would talk education to anyone who was interested. 2014 was another great year for learning. But two opportunities for learning that can not go unnoticed include my time at the Apple Global Institute in San Diego California, and the Google Teacher Academy in Mountain View California. Apple and Google are very different companies yet both have managed to connect me with some incredible people and opportunities. 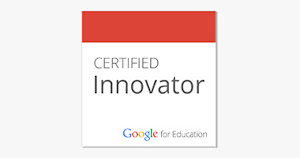 While attending a Google Teacher Academy is a once in a lifetime opportunity, as an Apple Distinguished Educator I am fortunate to have the opportunity to attend many more Apple Institutes. Because of the stress I was under daily in my classroom I will admit that my blog was a lot quieter than it has been in the past. I was able to write a few guest blog posts some of which have been published already and some that are still waiting to be published. I also had my first official digital book published as part of the Apple Distinguished Educator ONE BEST THING collection. 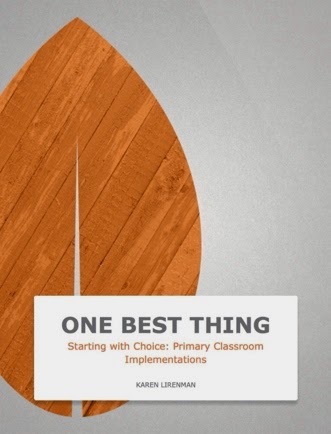 My book, available for free download here, is called Starting with Choice: Primary Classroom Implementations. I also wrote a chapter which will be included in a book that will be out one day :-). I'll share more once it's officially published but I will admit when I found my name on Corwin's website I was pretty stoked. While presenting at the iPad Summit in San Diego I met some of the key people behind the Osmo product. Through our discussions my students ended up beta testing the product. The people at Tangible Play (the makers of Osmo) are really great people and I'm thankful to be associated with them. My students were also the lucky ones. What a great tool for them to learn with. By attending the Google Teacher Academy in Mountain View California, I was able to run around the Google Complex which was a very cool experience. Here are a couple photos from Google. Just one of many spots around the Google Campus to think and share ideas. Of course while in Mountain View I had to take the time to explore other technology hubs. I think my heart may have skipped a beat when I was outside Apple Head Quarters. I also loved spending time at the offices of Koodable, Draw and Tell, Tangible Play, Tynker, and Motion Math. It was so great to have real, in person conversations with these much admired app developers. So well 2014 was one of my toughest years professionally, there was still a lot to celebrate! Here's to 2015! Excellence is an art won by training and habituation. We do not act rightly because we have virtue or excellence, but we rather have those because we have acted rightly.